Individuals undertake new dietary regimes for a variety of reasons. From weight loss to improved skin, and from enhanced insulin sensitivity to healthier digestion, most people can put their finger on what changes they wish to see from a new diet. However, a grain-free diet stands out as one that may help in all of the above, due to the sweeping changes it necessitates. Humans have roamed the earth in their existing form for hundred of thousands of years, nomadically living mainly as hunter-gatherers. The advent of agriculture, which Dr Joseph Mercola believes occurred in Mesopotamia at around 5,000 BC, changed this. Since then, the cultivation of rice, pasta and other cereal grains has changed society beyond recognition and become a staple part of most cultures daily life. Mercola, a US physician and the author of “The No Grain Diet,” points out that humans have not fully adjusted to this load of carbohydrates and links their excessive consumption to a variety of chronic complaints, notably diabetes. 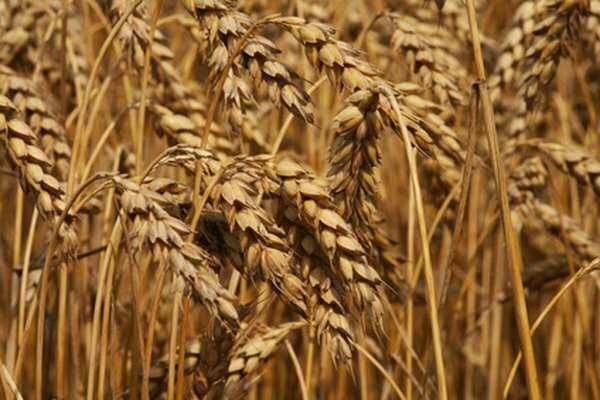 The grain-free diet, as you may expect, excludes all grains such as wheat, oats, barley, rye and rice. However, as explained by Grain Free Kitchen, most grain-free diets also exclude related starchy foods, such as quinoa, amaranth and buckwheat. The major focus falls on the so-called primal foods; the diet becomes based around meat, eggs, nuts, seeds and vegetables. Most versions of the grain-free diet also remove fruit due to the sugar content, at least initially. Far from compromising the nutritional content of the diet, the grain-free diet tends to enforce changes that result in a higher intake of vitamins and minerals. Mercola explains that, although green beans, broccoli, cauliflower and the like provide little energy, they represent a rich source of many nutrients. Rice, pasta and other grains provide little nutritional value in comparison. One of the biggest changes involves a significant reduction in overall carbohydrate intake and a sharp drop in sugar consumption. Mercola explains that, combined with an increase in proteins, fiber and fats, the blood sugar levels become more balanced, which can reduce the requirements for insulin production and improve cells' sensitivity to this pancreatic hormone. Although this normally results in an impressive loss of weight, reducing the amount of grains may improve poor digestive function, commonly implicated in immune system problems, chronic inflammation and poor skin. Doctor Sarah Myhill, a general practitioner from Wales, recommends the no-grain diet to help improve health. She believes that wheat represents the most problematic grain of those mentioned, but often recommends that individuals maintain a small amount rice in their diets in moderate amounts, noting that it causes very few bad reactions in her patients. “The No Grain Diet”; Dr Joseph Mercola; 2003.